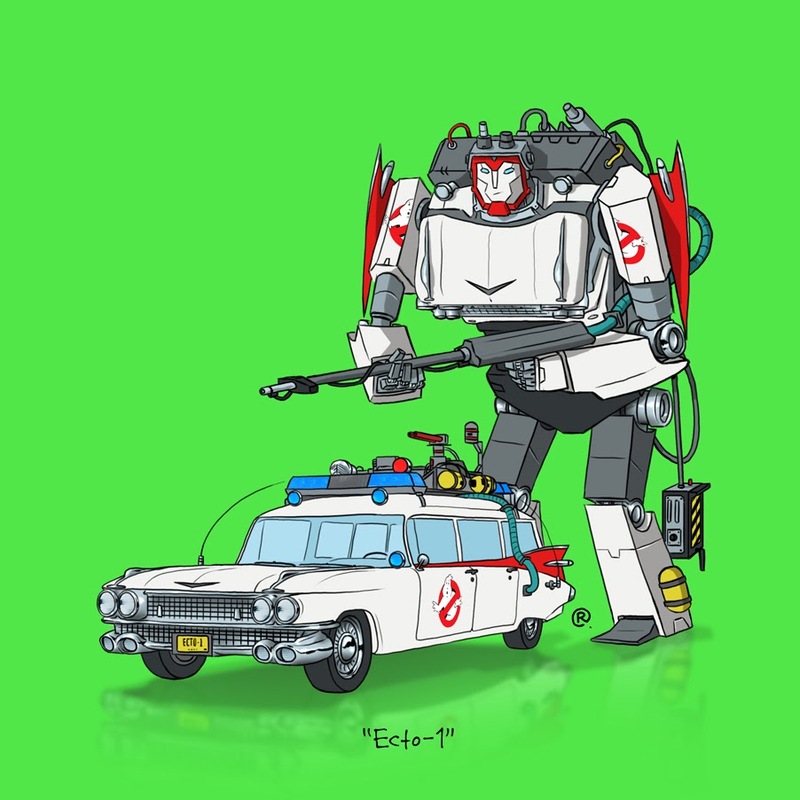 The Ghostbusters iconic Ecto-1 Cadillac has been transformed into a giant weapon wielding Transformer who “ain’t afraid of no ghosts” or other Transformers. 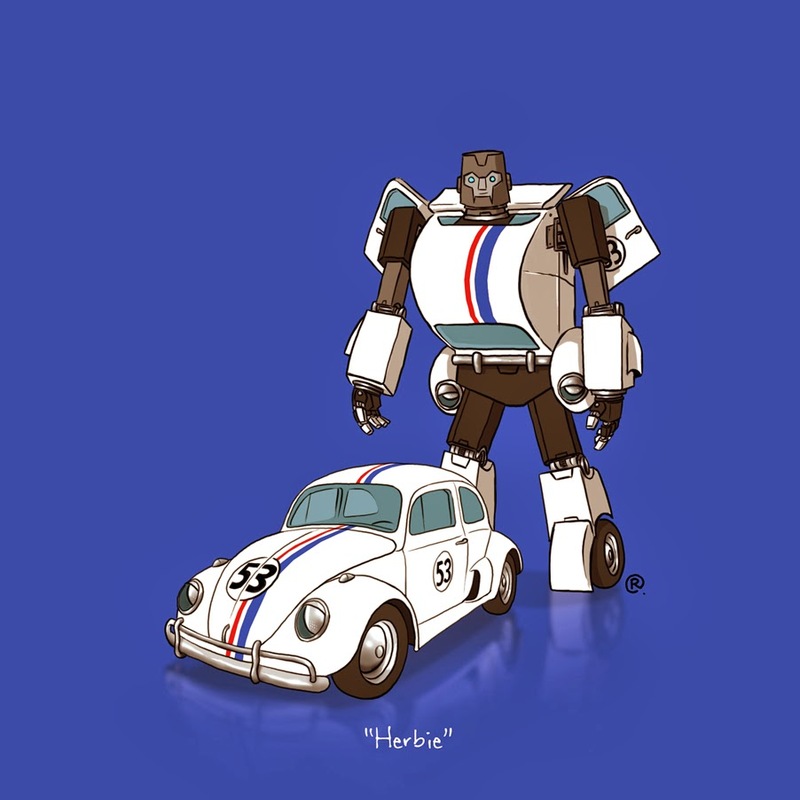 Herbie the Love Bug was a lovely VW Beetle but would its Transformer version be so lovely? 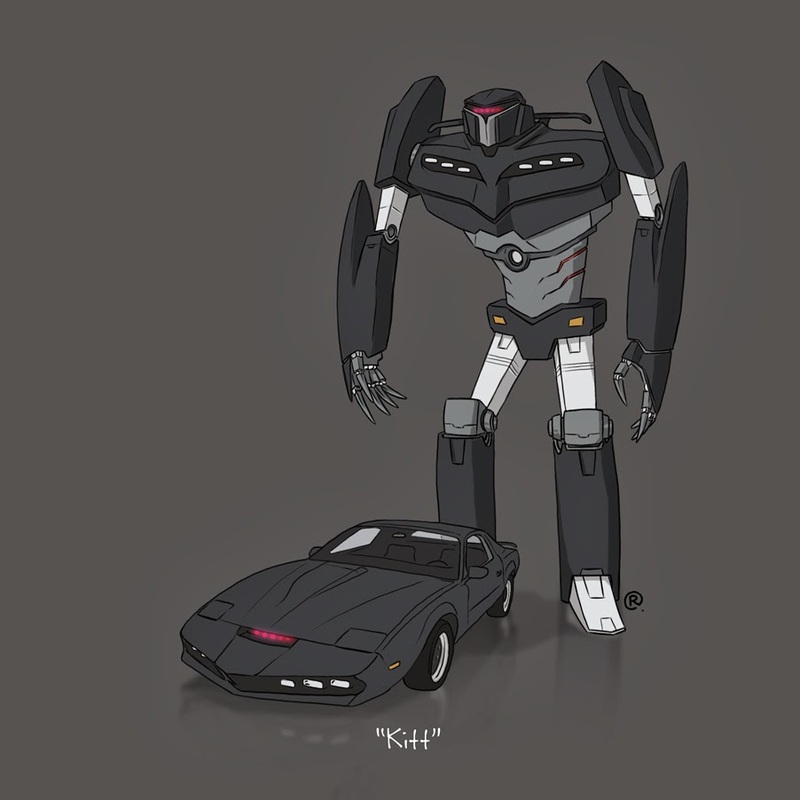 Knight Riders famous K.I.T.T car was a computerised robot on wheels that was scary on the outside but lost its scariness when you heard it talk in a rather ‘camp’ voice however this Knight Rider Transformer looks very menacing with a Battlestar Galactica style Cylon cyborg look about it. 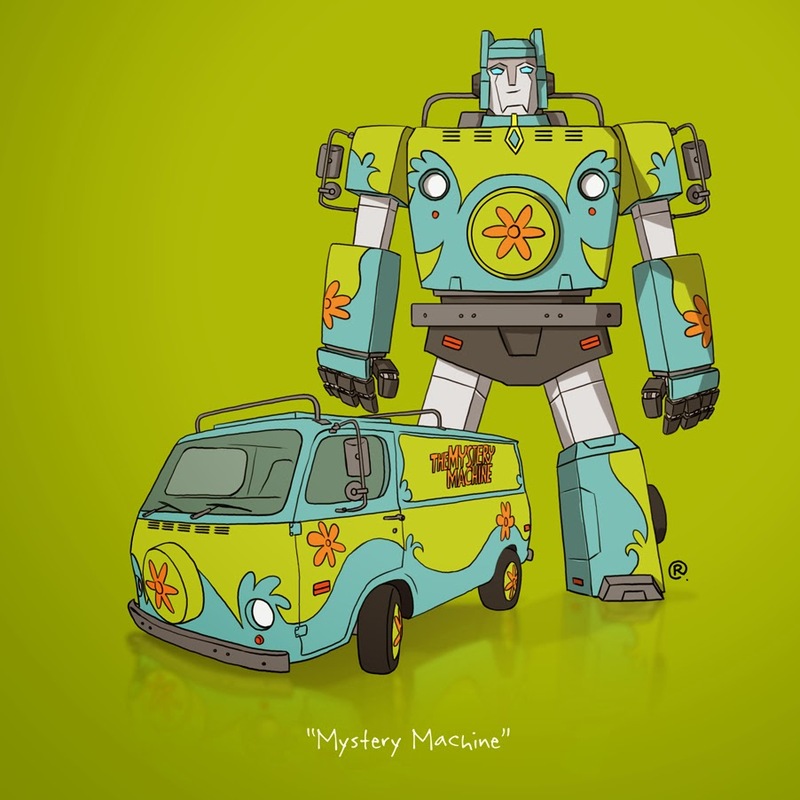 “Scooby Dooby Do… Where Are You?” “Hraggy, I am in this Mysterious Transformer!” The Mystery Machine makes a great looking Transformer however it reminds me more of a tree hugging, peace loving hippy Transformer than a fierce battling warrior robot. 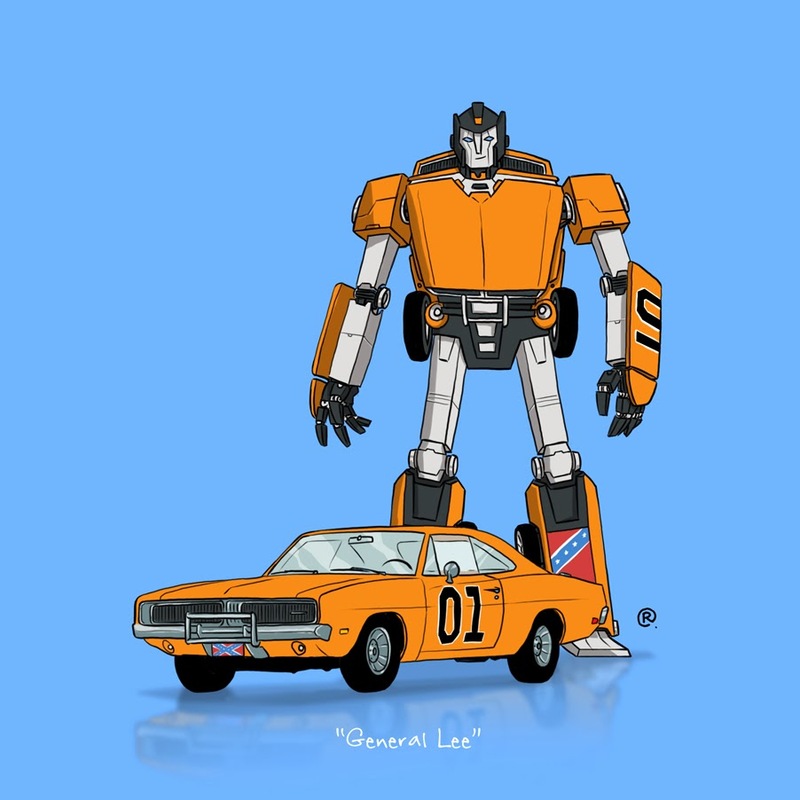 Is that a reefer I see in your pocket next to the Scooby snacks?